Spondylitis is a serious and painful condition which affects the spine. Generally, spondylitis affects the aged population but now days it is common among youth as well. This is because of poor posture and long working hours. Chronic back pain can hinder physical movement and can also impact your day to day activities and productivity. Some common symptoms of spondylitis are sever pain the back, shoulder, heel and neck, fatigue, chronic inflammation in the lower back, weight gain and bowel problems. 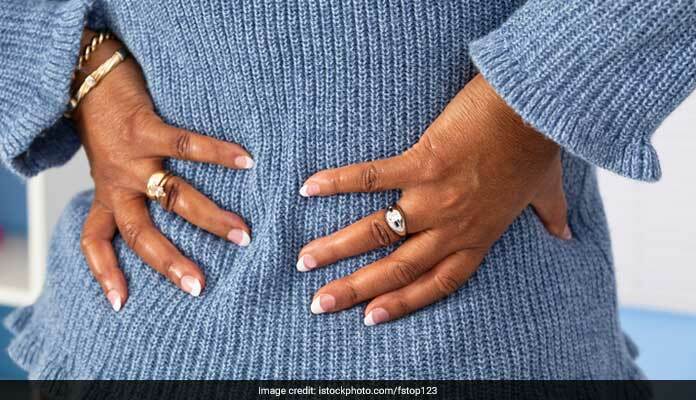 Spondylitis could be due to genetic factor, stress, inactive lifestyle, poor digestion, long working hours and obesity. Spondylitis is a serious and painful condition which affects the spine. Yoga is one of the best therapies to treat and prevent spondylitis. Yoga can play a pivotal role in the management of spondylitis. Yoga can help reduce spinal stiffness and can even enhance spinal flexibility. Some of the best yoga poses for treatment and prevention of spondylitis are Shalabhasana, Vakrasana, Ardha chakrasana, Dhanurasana and Shavasana. These yoga poses can help strengthen the core and spinal muscles. But consult a doctor before performing any exercise. A well-aligned posture is extremely important to treat or prevent spondylitis. You must check your posture frequently at home at work and even while sleeping. Make sure that you are well-aligned. Also, ensure that you do some gentle range-of-motion exercises in between work to avoid long periods of immobility. Your spine should not stiffen into a bent position, so aim for tall and straight postures. As neck muscles are sore, warm and cold compress can also help in providing temporary relief from your discomfort. You can apply ice packs or heating pads to the parts of your body where the pain is unbearable. Even warm bath or shower can help in relieving pain and stiffness in joints. You can take a few cloves of fresh garlic and crush them. Add them in a tablespoon of vegetable oil. Heat the mixture and allow the oil to cool down. Use this oil to massage the neck. This will help lessen the pain and stiffness. Massage therapy may be helpful if you are suffering from spondylitis. 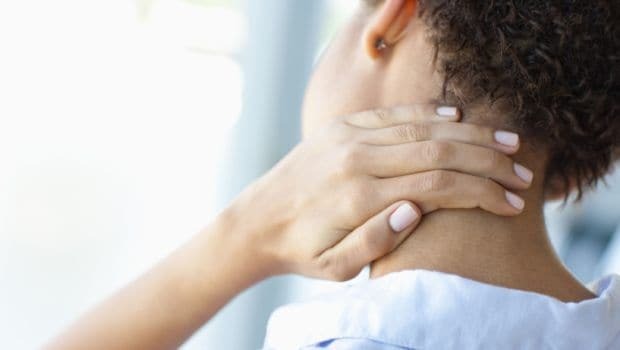 Massage may not only help relieve the pain and stiffness of spondylitis but may also help ease the stress which is common if you are suffering from this painful condition. You can use warm mustard oil or clove to massage the affected area. Neck exercises can be of great help and provide relieve from pain. They can help reduce stress and your day to day activities possible. Look towards one side and then slowly drop the chin to your chest. Repeat the same motion at the other side. Do it for around five to ten times.